Physicians prescribe "personalised medication" to regulate/treat every customer's health requirements, based on their body condition.In each formulation, the individual therapeutic action of each herb and their combined therapeutic effects are taken into account. Hence, any possible side effects are minimized, and the formula is safe to consume. Herbal medications are suitable for most people, and may also be used to assist in general health maintenance and disease prevention. They work through strengthening and enhancing normal body functions, boosting the immune system, and results in an improved sense of wellbeing. At Rejoice Wellness, we prescribe highly concentrated powdered extracts or granulated herbs. These powders are dehydrated traditional decoctions. Patients will only need to add hot water to recreate the decoctions. This eliminates the time to prepare the decoctions without compromising the efficacy of the original decoctions. Acupuncture involves needling and moxibustion. Needling is a treatment method where needles are inserted into specific body points (Acupoints), and techniques such as lifting, twirling are done. Moxibustion is the placement of burning Artemisia leaf floss on acupoints to use warmth to stimulate the acupoints. Acupuncture works to stimulate acupoints to clear meridians and regulate one's energy and blood circulation. 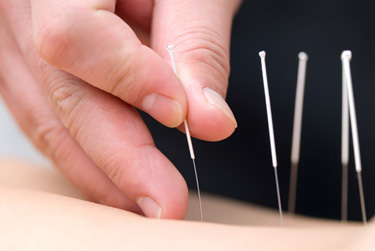 During needling, you will feel sensations such as soreness, ache, tingling or fullness. These are normal reactions to needling treatment. At Rejoice Wellness, we use disposable (one-time use) sterile needles, which are completely safe. Tui Na is a therapeutic form of massage. In addition to massaging the muscles and tendons, acupressure technique is applied to directly affect the flow of Qi at different acupressure points of the body. This removes blockages, keeping the energy flowing through the meridians, hence relieving the pain. Tui Na reduces chronic pains associated with the joints, muscles or bone, particularly: the neck, shoulders, hips, back, arms, thighs, legs and ankle disorders. It is also effective for treating arthritis, pain, sciatica and muscle spasms. Other benefits include alleviation of stress-related disorders like insomnia, constipation, headaches and other disorders related to the digestive, respiratory and reproductive systems. At Rejoice Wellness, our therapists are well trained with mastery of different Tui Na techniques and are able to undergo a wide range of treatments. Gua Sha is based on TCM's meridian theory, and with scrapping techniques using specialised Gua Sha tools on lubricant applied on the skin, a "Sha" effect is achieved. "Sha" is a reddish, millet-like skin rash or deep red petechia. This promotes blood circulation and removes blood stasis. At Rejoice Wellness, our therapists have undergone professional Gua Sha training, and are able to help you in alleviating the above-mentioned discomforts. Cupping is also named "fire cupping" or "suction therapy", is a method using cups as tools, and burning a cotton wool inside removes the air within, creating a vacuum. This vacuum anchors the cup to the skin, open skin pores, stimulating blood flow, balances and realigns the energy (Qi) flow, clears obstructions, and creates an avenue for toxins to be drawn out of the body. Usually cups are left for 10-20 minutes. Some practitioners will also apply small amounts of medicated oils or herbal oils to the skin just before the cupping procedure, which lets them move the cups up and down particular acupoints or meridians after they have been applied. At Rejoice Wellness, our therapists are trained professionally in cupping to alleviate your symptoms and improve your overall health condition. "Pain results from blockages", pain indicates actual or potential meridians blockage and tissue damage. TCM pain management is done with a combination Chinese herbal medicine, acupuncture and Tui Na. TCM pain management is effective for various pains such as facial pain, headache, neck and shoulders pain, knee pains, back pain, sciatica, tennis elbow, etc. At Rejoice Wellness, our team of TCM physicians and therapists work together in providing personalised pain management treatment plans. TCM weight management is done using acupuncture, herbal medication and Tui Na treatment methods. It is a non-invasive, safe and effective slimming method. Our three-tiered TCM weight management approach works to achieve the slimming effect by suppressing appetite and stimulating metabolism, hence restoring the body's metabolic balance. The balance of "Qi" and blood is very important for beauty, health and fertility of women. "Qi" moves the blood and emotional stresses can cause "Qi" to be stagnant, and in turn affect the blood causing blood stasis. The flow of "Qi" is maintained by the liver, which also is closely related with women's menstrual cycle and hormonal balance. 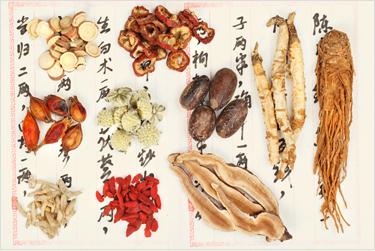 TCM herbal medication, acupuncture and other TCM wellness methods can return or promote the healthy flow of "Qi" and blood, and hence alleviate menstrual problems, infertility and menopausal symptoms.